Patented. "For maximum Protection and Stability". 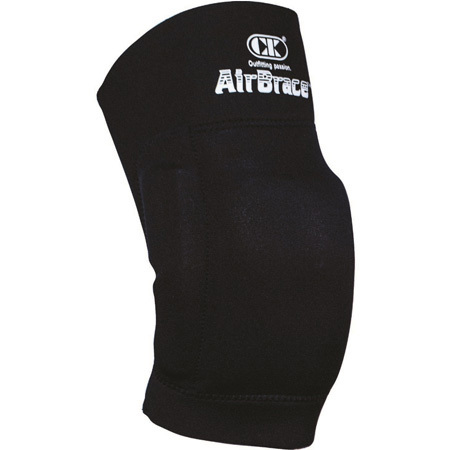 In the long standing tradition of Cliff Keen quality and innovation comes the Air Brace knee pad - the best knee protection for any sport. Several years in the making, the Air Brace was developed by orthopedic surgeons, engineers and coaches, and was tested by thousands of athletes and coaches. Its unique, sealed rubber tubes dissipate shock four ways, while a triple-pad design protects the entire knee. And because it's so light weight, the Air Brace allows complete mobility.